Kanaka Durga Temple also known as Sri Durga Malleswara Swamy Devasthanam is a famous Hindu temple dedicated to Goddess Kanaka Durga. Kanaka Durga temple is located on the banks of Holy river Krishna on the iconic Indrakeeladri Hills in Vijayawada city, Andhra Pradesh. 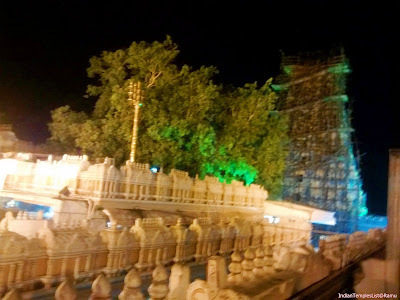 Kanakadurga Temple is synonymous with Vijayawada. A ghat road laid in 1969 connects the temple on Indrakeeladri hills to the city. But, many pilgrims even for today prefer to climb steps leading up to the main temple. Vijayawada city has Indrakeeladri Hills on the West side and Budameru Canal on the North side. Don't forget to visit Prakasam Barrage in Vijayawada. It is a very popular dam constructed on Krishna River connecting both Krishna and Guntur districts. The dam has a length of 1223.5 m.
Goddess Kanakadurga of Vijayawada also known as Bezawada Kanaka Durgamma is considered as Swayambhu and hence very powerful. Ancient legends says that Sri Adi Sankara visited this self-manifested temple and installed Sri Chakra here. Here you can find Goddess Kanaka Durga on the right side of Lord Malleswara Swamy as against to most of the traditional Hindu temples where one can find the Goddesses on the left side of their consorts [Gods]. 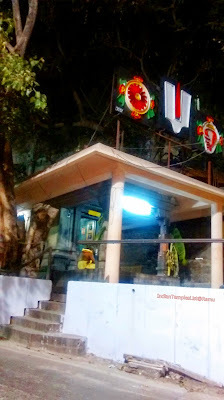 Lord Anjaneya Swamy is the Kshetrapalaka (place guardian) of this temple. He is present near a big fig-tree in front of Kanakadurga mata temple. Vijayawada is well-connected with all other major cities by air, road and train. So one can easily reach Vijayawada without any worry. All International passengers need to reach Rajiv Gandhi International Airport at Hyderabad first and then take a domestic flight to reach Gannavaram which is at a distance of around 20 km from Vijayawada. The flight journey takes approximately 30 minutes. Vijayawada which comes under South Central Railway division is the 2nd largest railway junction in India. Many Super-fast trains and Express trains connect Vijayawada city with all other major cities of India. Kanaka Durga temple is located at a distance of around 5 km from the railway station. APSRTC and TSRTC run frequent buses to Vijayawada. Good motor-able roads connects Vijayawada with all other major cities in India. NH-5 and NH-9 passes through the city. Kanakadurga temple is located at a distance of around 3 km from Vijayawada Bus Station. 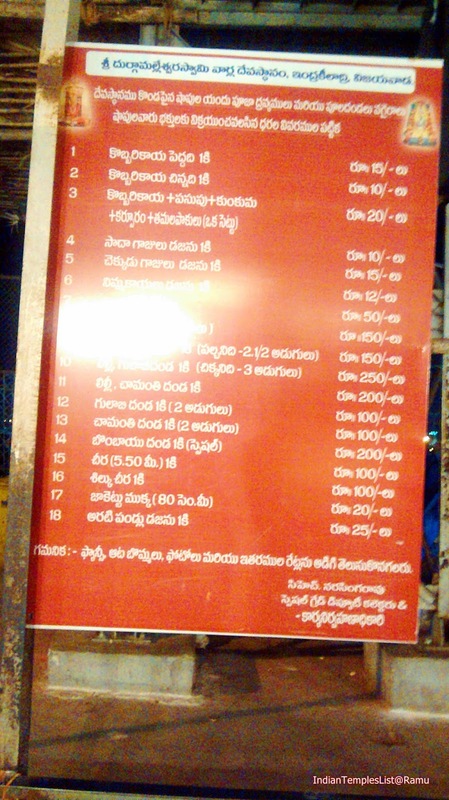 Various local Buses, Autos and Taxis are available to reach Kanakadurga temple from the bus stand. Vijayawada, formerly known as Bezawada is the second largest city in the Andhra Pradesh state after Visakhapatnam [Vizag]. The city got its name after Goddess Durga killed the demon and emerged victorious [Vijaya] to free this place for some time. Another tale says that in Dwapara Yuga, Lord Arjuna secured Pasupathastra from Lord Shiva at this place and hence the city got its name as Vijayavatika and later transformed to Vijayawada. Best time to visit Vijayawada temple is from November to February and it is an ideal destination to spend for one or more days. 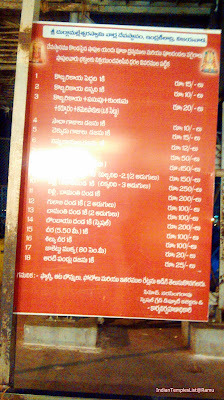 Free Footwear and Luggage counters are provided by Sri Durga Malleswara Swamy varla Devasthanam for the convenience of the visitors. Your Suggestions, Ideas in the Comments section will greatly help us to make this post more better for you. 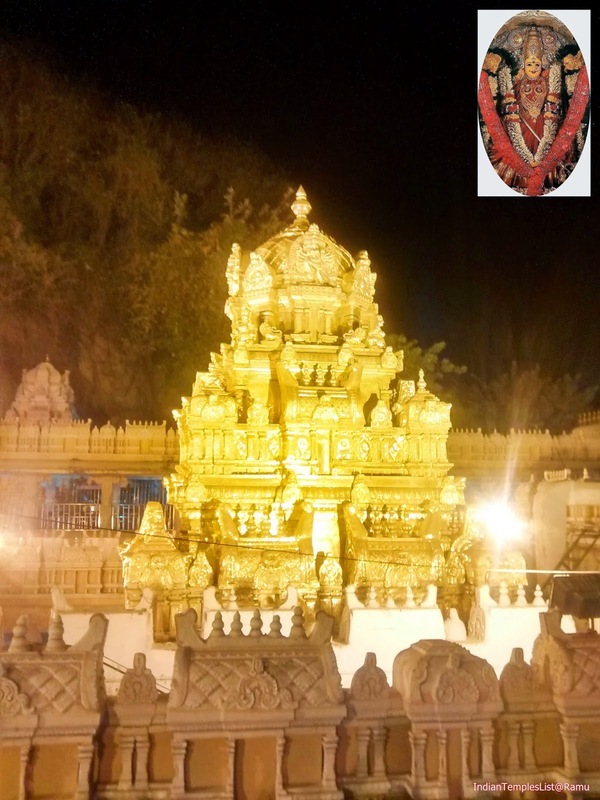 Kanaka Durga Temple is the most important temple in Vijayawada.You can drive up the hill or walk to reach the temple in about an hour. 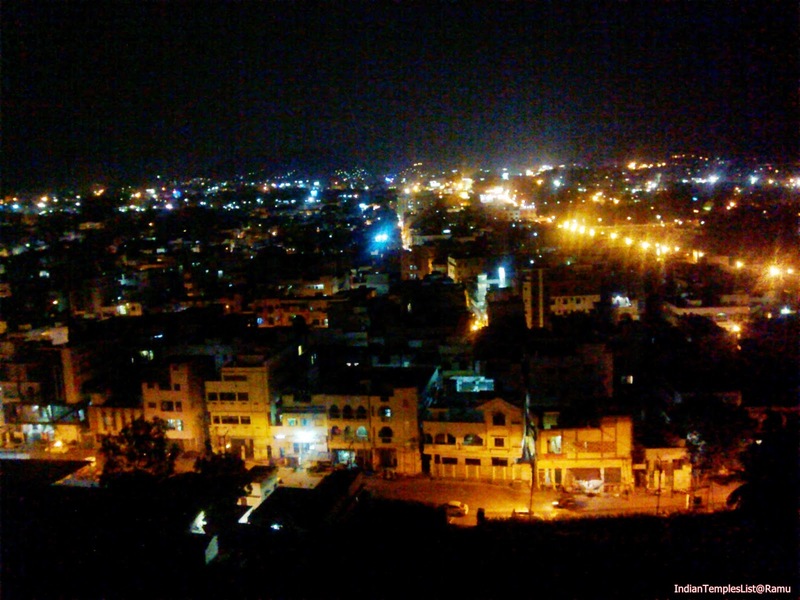 Check out more places to visit in Vijayawada.